With more than thirty thousand people in prison, Virginia’s Department of Corrections is the most expensive agency in the state. To cut costs and assure public safety, officials need ways to assure that inmates don’t go back to a life of crime when they are released. At Virginia Commonwealth University, one professor is promoting a novel idea – helping inmates to write their way out. Sandy Hausman has that story. 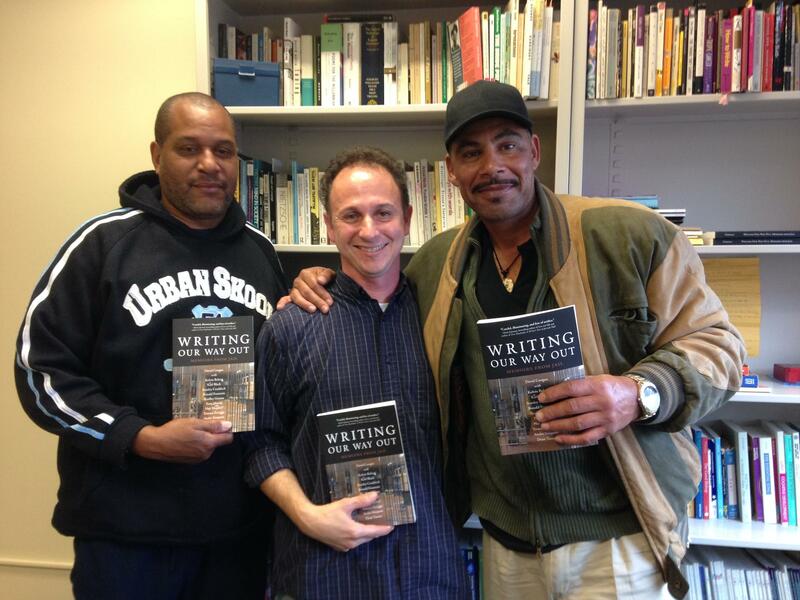 Terence Scruggs, Dave Coogan and Stanley Craddock, authors of Writing Our Way Out. As an associate professor of English, Dave Coogan hadn’t given much thought to criminal behavior until his neighborhood park became a crime scene. And this particular crime scene was shocking, because it was four teenaged boys who raped a woman and beat up the boyfriend, and the question that came to me was why did they do that? To find answers, he began teaching classes at the Richmond City Jail. There he came to a surprising conclusion. Few understood themselves well enough to connect feelings and ways of thinking with life experience and emotions, but Coogan was convinced that writing could help them to do that. “I knew how to teach writing, and I knew how writers think," he explains. " I knew that if you raised the stakes higher, the best people will jump over that bar, and they’ll be grateful for the chance to stretch and exercise and leap, and that’s exactly what these men did." Stanley Craddock, now 52, was one of Coogan’s students – a career criminal who’d been in and out of jail for years – convicted of robbery, breaking and entering, forgeries and resisting arrest. "Work call, work call. Doors start flying, men start moving to their assigned spots on the ground, but I’m waiting on rec call. All I want to do is to dash toward a slab of concrete that houses thousands of pounds of cold steel plates – bars that could rip the flesh of the palms of your hands and benches stained with sweat and blood." "I’m a member of the dumbest dudes club. We’re all the best looking guys in prison, rock hard abs and chests, bulging biceps and legs like tree trunks, but with minds like babies." Understanding himself finally brought liberation. He’s been out since 2007. "When I embraced the possibility of change, I liked it," Craddock says. "It fitted me more. It became my new norm. You know they say the true punishment doesn’t start until you have a change of heart." Coogan was bowled over by the quality of prisoners’ writing. And he’s now published a book of prisoner essays along with an account of his own experiences working behind bars. 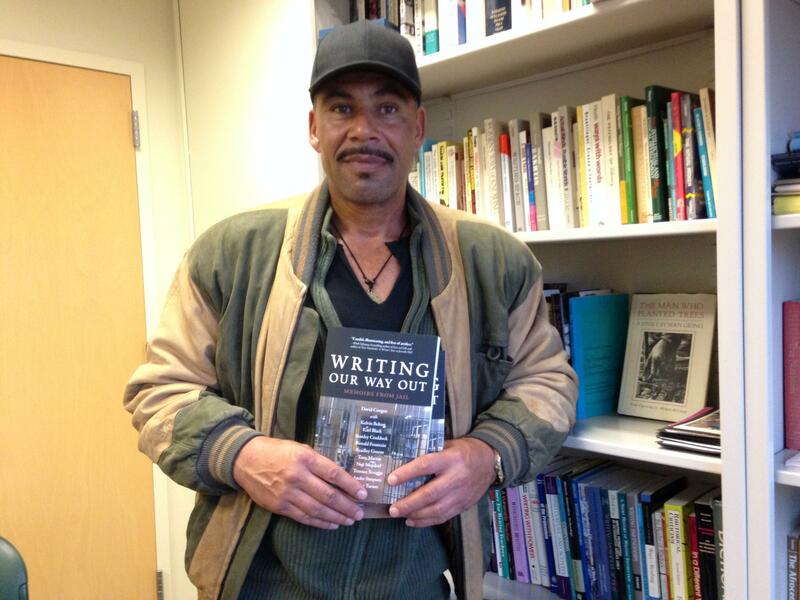 It’s called Writing Our Way Out: Memoirs from Jail. Public discussions with the authors are set for December 2 from 7-8:30 p.m. at St. Paul's Episcopal Church, 815 E. Grace Street in Richmond, and December 3 from 6-8 p.m. at the VCU Barnes and Noble, 1111 W. Broad Street in Richmond.